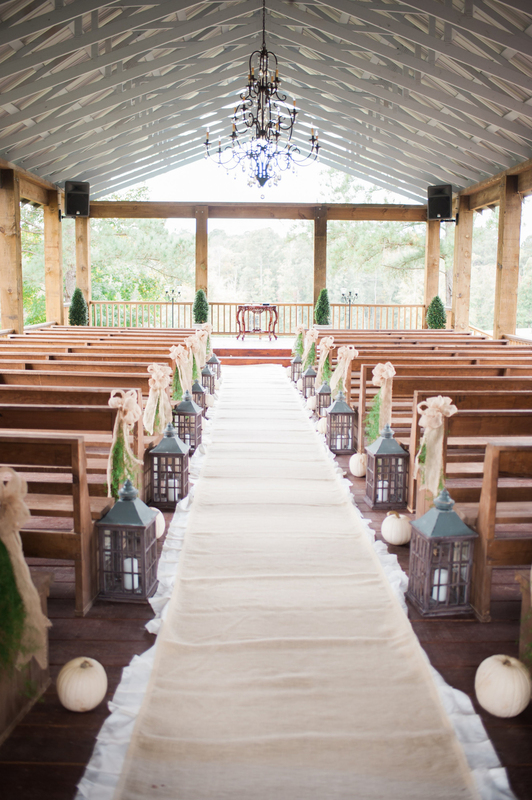 The Kelly Chapel is a lovely setting in the pasture across from the Magnolia Barn. 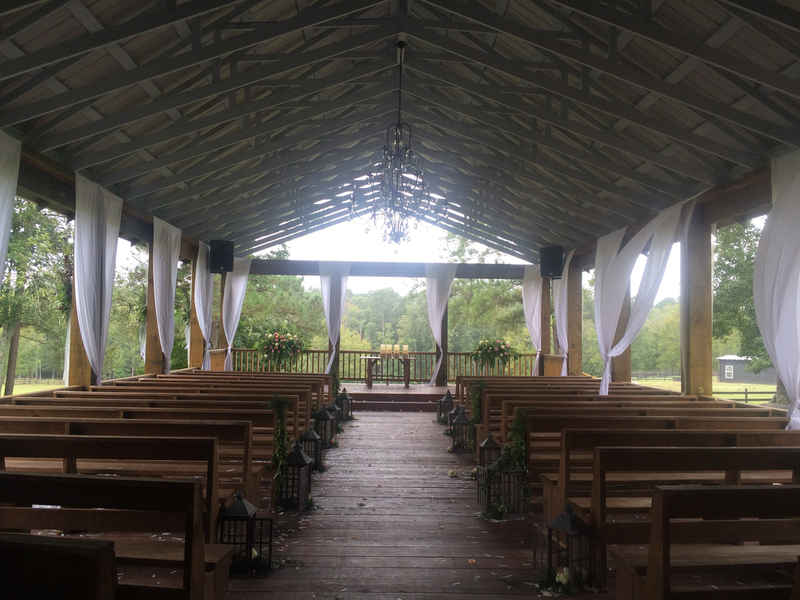 It is a quaint open Kelly chapel with seating for around 190 people on pews under cover, and the ability to accommodate more people around the Kelly chapel, while keeping visibility of the ceremony. The stage in the front of the Kelly chapel has plenty of room for a large wedding party, and the Kelly chapel is equipped with a sound system. Don't forget to ring the bell when you say, "I do!"